Please note: Volunteers will be working extensively with children. Baan Dada therefore requires a completed application form and a criminal record report. on the rare occassion that a CRB cannot be provided, we will require a referral letter from a long-term volunteer (past or present). The basic atmosphere at Baan Dada is holistic, with weekly yoga and meditation practices (which you can join if you like), vegetarian meals and dedication to the service of others. Please note: As volunteering at Baan Dada is a 1 week minimum, volunteers are required to pay this 1 week minimum of 3,500 baht, regardless if you choose to leave before your 1 week is finished. Please understand that this is due to the work involved in preparing for your stay and this payment is non-refundable. All volunteer monetary contributions go strictly towards the supplied food, accommodation, extra wages for the single-mother cooks and care givers, and maintenance of the home. We also have a ‘Registration Book’ for incoming volunteers which has to be filled in upon arrival or on the next day. There is one-week minimum for volunteering. Groups coming to Baan Dada to complete certain tasks or projects are an exception. 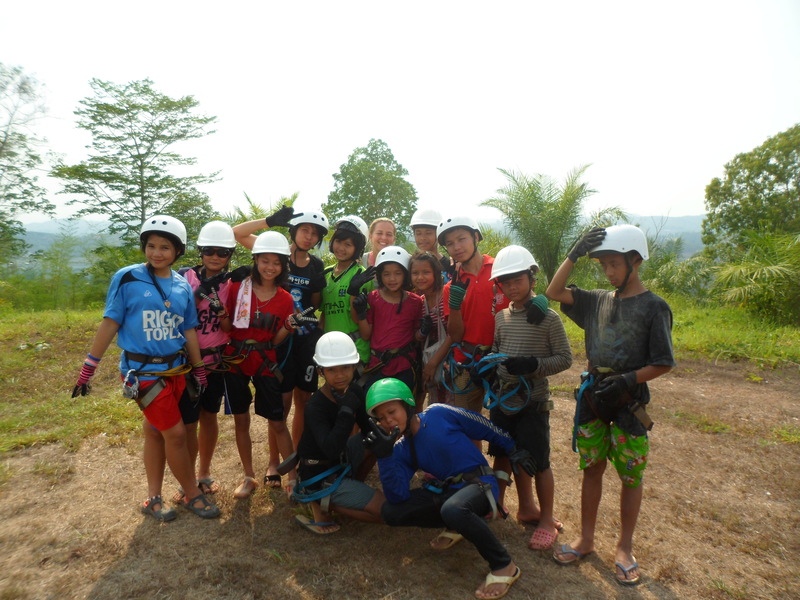 In saying this, the longer you can volunteer at Baan Dada the better for both you, the children and the home! Please think about your motivation for volunteering. Remember that volunteering with us is not a holiday. There will be a combination of office work, teaching English, cleaning the volunteer house, maintaining the Library and Weaving room and physical work. Often the work is labor-intensive and teaching can be frustrating, but it is always worth it in the end. It can also be stressful for some people to live in such a remote area, so take this into account as well. Teaching English is one of the most important jobs a volunteer can do! It is therefore a compulsory part of volunteering. The children are divided into groups by skill level and receive classes at night. You also can teach arts, music, or any other skills you have, or simply organise different activities for the children. 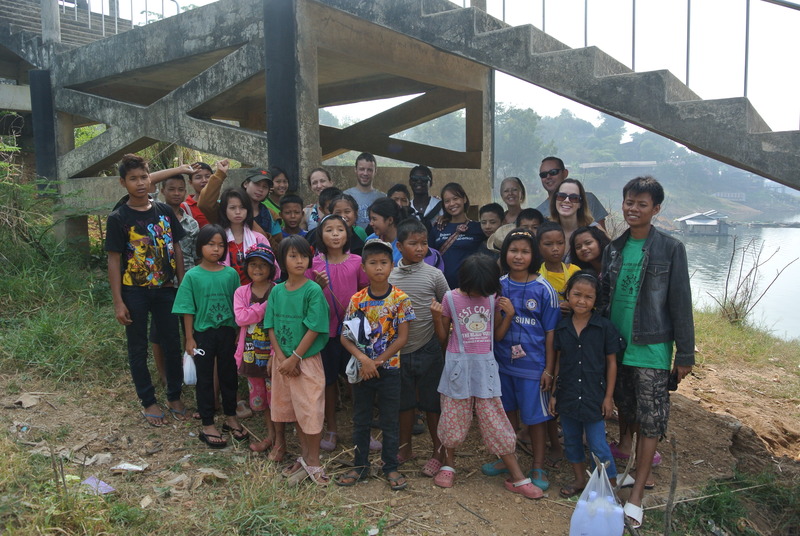 Other tasks include building, farming, tutoring, driving, administration work in the office, cooking, fundraising or helping to support many community projects Baan Dada is involved with. Volunteers will be responsible for their own return ticket, health insurance, and visa arrangements. They are expected to respect the local cultural norms and holistic lifestyle at the project. The project is free of drugs, alcohol, and smoking. Anyone can have a drink, but they must stay in a guest house in Sangkhlaburi for the evening. Smoking is permitted FAR from the view of any children, as it is not the type of behavior we want them to replicate. Please arrange your stay with us prior to arrival so we can make sure there is a bed available! There are three seasons, warm season from February to May, rainy season from the end of June to October, and the ‘cool’ season which extends from November to January. From February to October the temperature averages 35°C but during the cool season it can reach as low as 10°C, so remember to bring layers. During the rainy season there is frequent unpredictable rain. Where do I dispose of my rubbish? Rubbish is separated into ‘general waste’ and ‘recycling’ both at the volunteer house and around the home. When the bins are full, the rubbish goes to allocated areas at Baan Dada. There is no enforced dress code. It is advised however to not wear anything too revealing or short, to fit in with the culture of Baan Dada. Comfortable, practical clothes are best. Bring some older clothes too, which you are happy to get dirt or paint on! Is there Internet access or cell phone service? Yes, there is phone service, and there are computers in the office with Internet access (wired and wifi), but volunteers have to share them with the staff and children. Sometimes the internet service is not that great, and there might be days with no service. Office work takes priority over personal internet use on Baan Dada computers. There is also good mobile phone service in the area – you can either use your existing cell phone number or you can buy a Thai SIM card in Bangkok, at 7/11s or at a mobile phone store in Thailand to pop into your own phone. (Currently only 1-2-Call has reception in the area). Data service for many smartphones also work here, but check your phone carrier for roaming and international charges. Yes, there is a post office in Sangkhlaburi. Do volunteers sleep in the same space as the children or separately? It is not prohibited to sleep where the children sleep, but it is not common. What are volunteer conditions like? There is one main volunteer house, containing 6 seperate rooms, that has held between 1-30 volunteers in the past. A couple of the toilets are ‘western’ and your shower will mostly be a ‘cold bucket shower’ or if you are lucky the hot water showers will be working. The volunteer house is situated 5 minutes walk through the farm from the main living area of Baan Dada. There is a volunteer fridge, kettle, toaster and fans available, and electrical plugs in rooms. Sleeping conditions are basic, a thin mattress on the floor and there are creepy crawlies around the volunteer house, as you would expect in the jungle. Do male and females sleep together? There are no ‘rules’ for where to sleep in the volunteer house. It is completely up to the volunteers. It depends on how many volunteers are staying at Baan Dada, but sometimes yes. Does the volunteer house have electricity? Internet access? There is electricity at the house, but internet access does not reach there. Power outages are common, especially during the rainy season. The ‘mothers’ who live and work at Baan Dada cook three vegetarian meals a day, which don’t include eggs, mushrooms, onion, or garlic. However, sometimes treats such as Burmese tea leaf salad, which contains garlic, is bought from the market. There is usually no dairy either as that is too expensive. There is sometimes fruit included with the meals, but more can be purchased at the local Thursday morning market which is is a 20-minute walk away in Huay Ma Lai, or in Sangkhlaburi. It is not allowed to bring meat to Baan Dada. Most volunteers comment on how great the food is. You can also help to cook, especially if they are understaffed in the kitchen – usually around 4am, 10am, and 3pm. There is safe water available from one tap in the kitchen. It is fine to use the water in taps at the volunteer house to clean your teeth, but make sure not to swallow the water. Will I be washing my own clothes? Usually volunteers hand wash their own clothes at the volunteer house. There is plenty of space to dry clothes there. There is also a washing machine at the main home. Are there any medical risks? It is recommended by doctors at the local hospital that you should use an anti-malarial prophylactic – Doxycyclin or Malarone are currently recommended. Please consult your physician for up-to-date advice. Please note the anti-malaria tablets are readily available here for a fraction of the price you may pay in your home country (ie. Doxycyclin is 3 baht a tablet in Kanchanaburi and 5 baht a tablet in Sangkhlaburi). How long can I stay with a tourist visa? Usually 30 days. It is up to the volunteer to organise their own visa. Please check with the Thai embassy or consulate in your country before coming to Thailand. Can I extend my visa once in Thailand? Yes. It depends on what kind of visa you have. Sometimes you can pay for a visa extension at an immigration office in Thailand, other times you may have to exit and re-enter Thailand. Many volunteers opt to do this via Malaysia, Cambodia, or Loas. We are close to the Burma border, although this border is not open to tourists. Am I expected to take part in any religious practice? No. There is a regular meditation practice which is open to all, but not at all compulsory. Is there a volunteer schedule? Weekly meetings will be held to create agreed upon schedules. Yes. Volunteers are advised to take at least one day off every week, and are welcome to have time off during the day, especially if you are volunteering for more than 1 week. How many volunteers are there at one time? Anywhere from one volunteer to many. We have comfortably held over 30 volunteers in the past. Is all of the work physical? There is a lot of construction going on at any one time, however, there are always jobs which need little physical exertion, such as teaching and office work. Should I be able to speak Thai? No. It is not necessary to speak Thai, Burmese, Karen, or Mon. Both Dadas speak English. The children’s abilities to speak English range from very little to a good level of conversation. Most of the younger children speak Karen amongst themselves, while the older children speak Thai. You won’t need to speak Thai to use the transportation to Baan Dada, however, be patient if people cannot understand your pronunciation of place names. Are there any animals at Baan Dada? At the moment there are cats, dogs and chickens so please bring any allergy medication if required. There are many creepy crawlies at Baan Dada as it is located in the jungle – such as ants, snails, frogs, insects, snakes, scorpions, and geckos – some you see often, some just every now and then. The following past volunteers would be happy to tell you more about their time at Baan Dada and the projects they helped create and complete. Now that you have read the above information all that is left is for you to do is email us with (1) your completed application form and (2) your criminal record report or a referral letter from a past or present long-term volunteer. THANKS SO MUCH, WE LOOK FORWARD TO MEETING YOU!